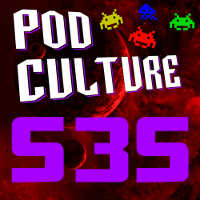 After the most epic “Road Thus Far” yet the appearance of the original podcast them and an intro bumper by the Torchwood cast the last episode of PodCulture kicks into gear! Longtime listeners and supporters of PodCulture called in to the voicemail line and shared their thoughts and memories over the years. Special thanks to Billy, Justin, and the blast from the past Ashlee! All good things have to end, and so does this podcast. Adam, Glenn, and Brad share their thoughts of the past thirteen years in the closing, and are joined (thanks to the magic of voicemail and the a bit of editing) by original crew member (and forever a part of PodCulture) Christina! who also shares her memories. 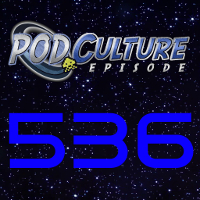 Five hundred and seventy seven hours, twenty minutes, and forty four seconds of geekery draws to a close with perhaps the most epic set of needle scratches and bloopers in all of PodCulture’s thirteen years! 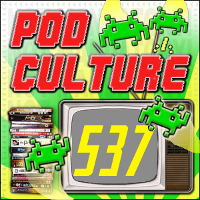 From all of us here in the studio…thank you to EVERYONE who has supported PodCulture over the years! And yes…on that note… We. Are. Outta. Here! 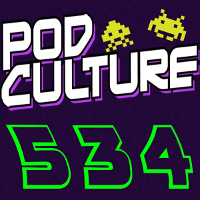 Welcome to the next-to-last episode of PodCulture! The games are afoot with Part A of a brief-ish (for them) Game Chatter segment. After some classic flashback clips in “The Road Thus Far” the wayward sons Adam, Glenn, and Brad carry on with the second of the four-part Final Episode series. Geeks have to fuel up so the guys dive right on into a Geek Cuisine of tasty Pineapple Water and Twizzler Rainbow Candy Straws. After a lengthy chat the guys are thirsty once again and this time Brad has a couple weird sodas he found up at Jungle Jim’s in Cincy. Cinnamon Soda and wait for it…Martian Poop soda. It is the beginning of THE END…after thirteen years of geekery Glenn, Adam, and Brad start the final series of episodes of PodCulture. After flashbacks in “The Road Thus Far” The guys get all caught up on what all they have been up to since the last recording. The first of TWO Geek Cuisines is sponsored by Studio V as Adam brings in Goji Berries. Christina is prob glad she missed this version of “Phantom” as Glenn inflicts Phantom of the Paradise on the crew as the final Guilty Pleasure. The second Geek Cuisine is an Oreo double feature with Fireworks (pop rocks) and Cherry Cola flavored variants. Bumpers are from the gorram shiny crew of Serenity as Alan Tudyk and the late great Ron Glass chime in. The music is Browncoat themed as well with Firefly by Adam WarRock & Mikal kHill and Mal’s Song by Vixy and Tony. 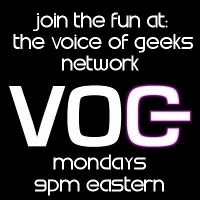 Please donate and help keep the geeks geeking!